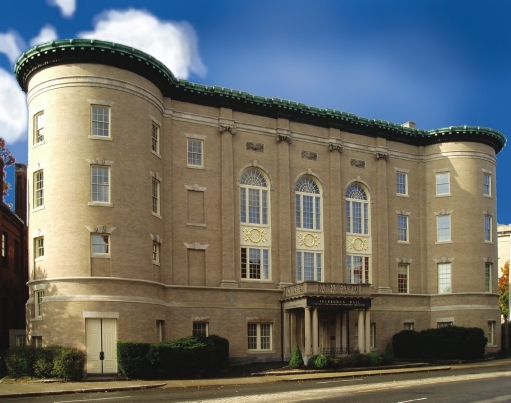 Tuckerman Hall was the crowning glory of The Worcester Woman’s Club, an organization that was formed in 1880 after a two-day observance of the thirtieth anniversary of the first National Woman’s Rights Convention held in Worcester in 1850. 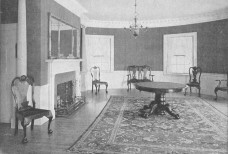 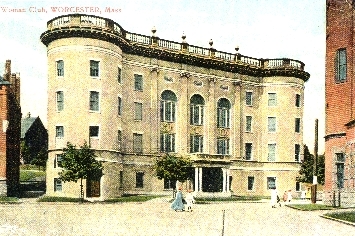 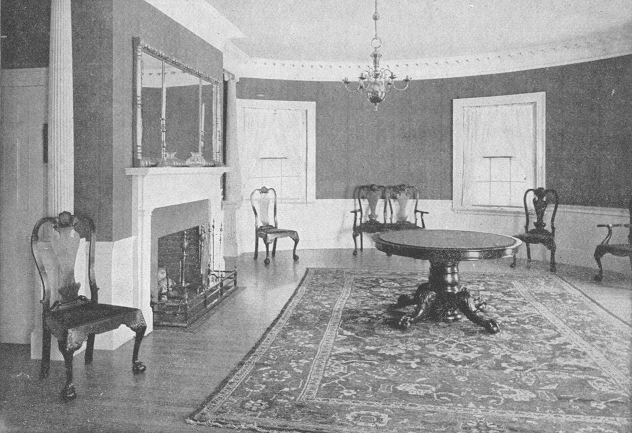 In need of a permanent home and somewhat daunted by the cost of land acquisition, members of the organization were relieved and grateful in 1898 when Stephen Salisbury III, scion of Worcester’s most prominent family and a founder of the Worcester Art Museum, donated a triangular parcel of land which became the site of Tuckerman Hall. 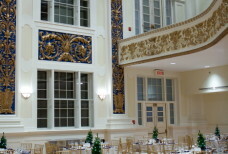 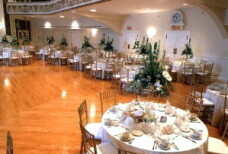 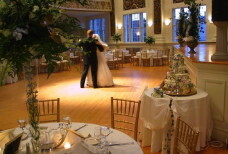 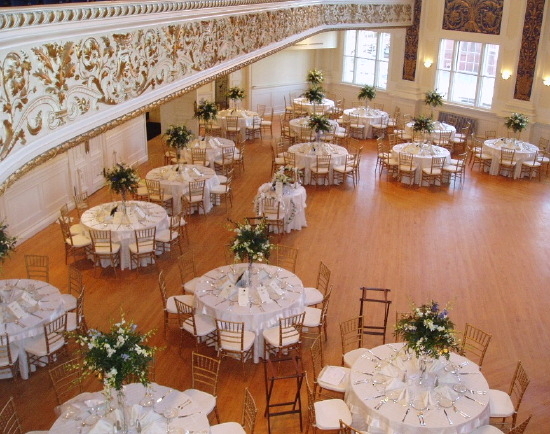 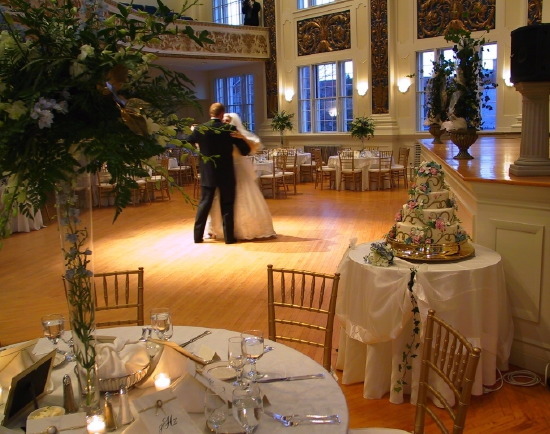 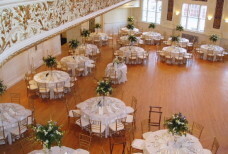 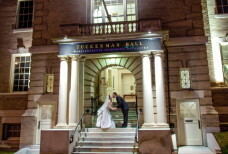 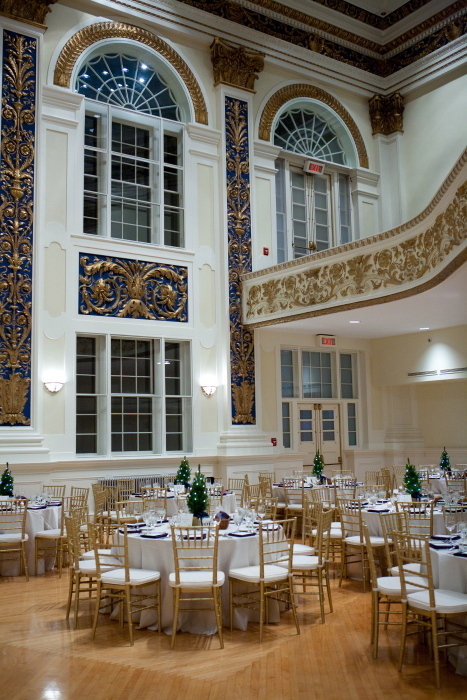 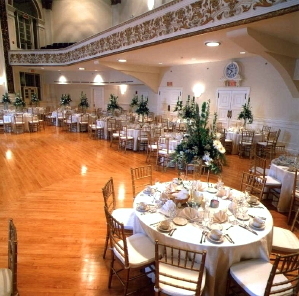 For a significant portion of the twentieth century, Tuckerman Hall was the focal point of important cultural, educational, philanthropic, and social activity in downtown Worcester. 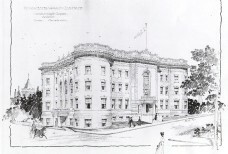 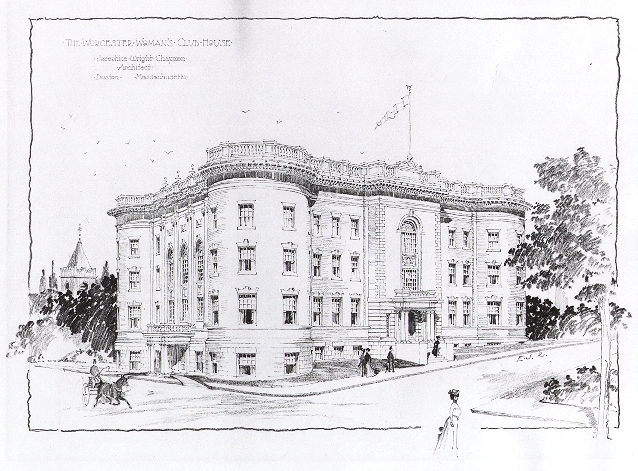 Interests of The Worcester Woman’s Club ranged from promoting educational reforms to fostering health improvements for the populace. Initiatives included supporting industrial training for public schools through the establishment of trade schools, championing public kindergardens, and encouraging the development of a hospital for contagious diseases. 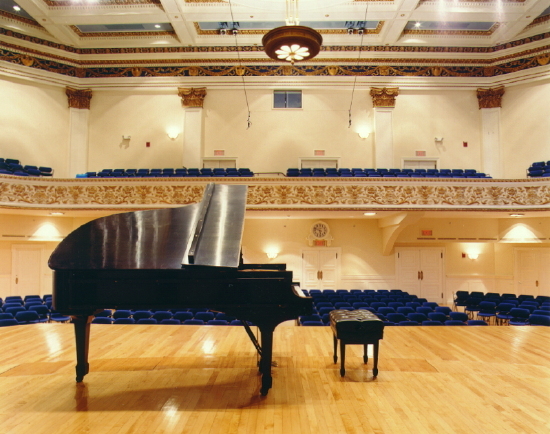 For many years, Tuckerman Hall functioned as the locale for lectures by leading speakers from across the country and around the world. 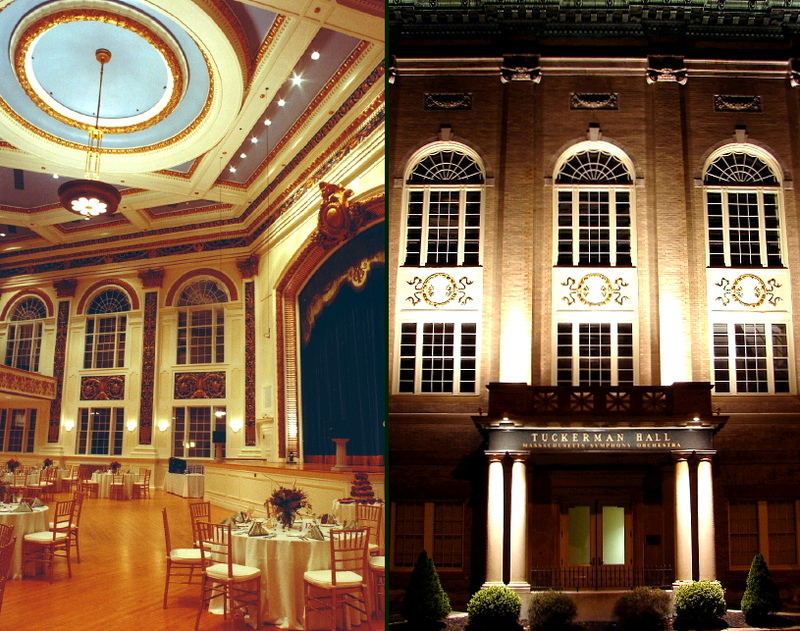 Woodrow Wilson and John F. Kennedy were among the luminaries who spoke at Tuckerman Hall. 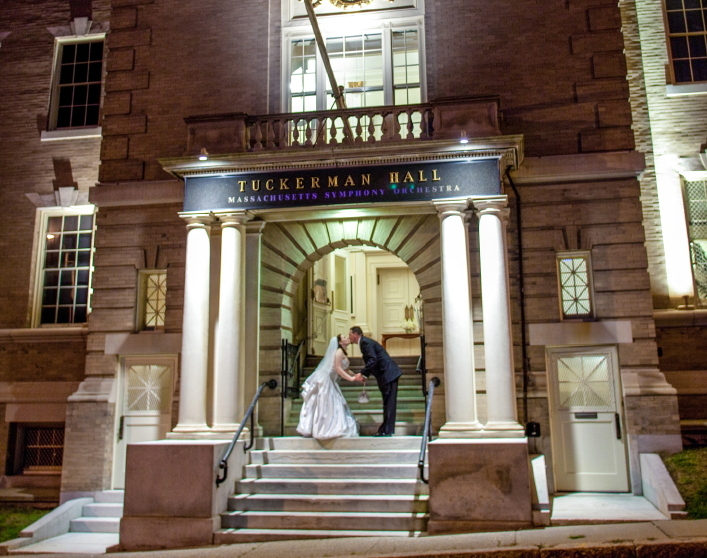 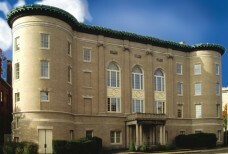 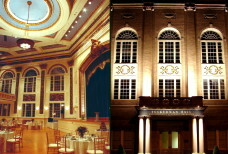 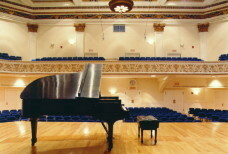 In 1976, the Massachusetts Symphony Orchestra took up residence at Tuckerman Hall and acquired ownership of the building in 1981.